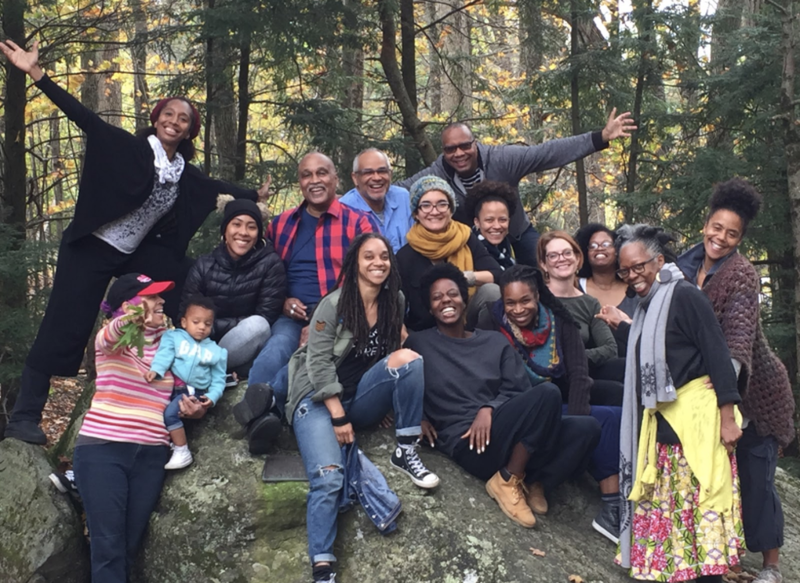 THE UBW CHOREOGRAPHIC CENTER INITIATIVE (CCI) IS A TEN YEAR INVESTMENT IN THE DEVELOPMENT OF WOMEN OF COLOR CHOREOGRAPHERS, WHOSE VOICES ARE NOT AS PROMINENT IN THE NATIONAL ARTS ECOLOGY AS THEY SHOULD BE. The UBW CCI is an extension of the UBW mission and is rooted in UBW core values. 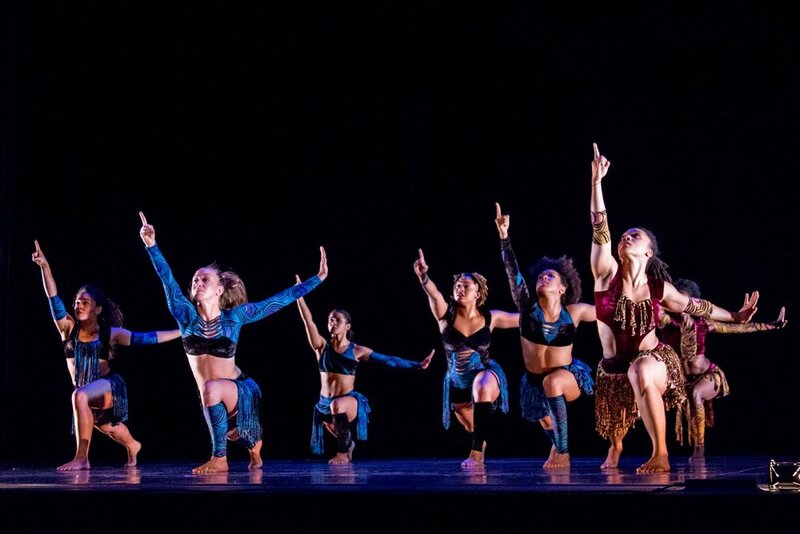 The Initiative began in 2013 with research and a convening that investigated the role of Black women and female choreographers of color; barriers of entry in the field for this group; and ways the dance community could better support, foster,and build audiences for these artists. CCI programming and activities are designed to take a two-pronged approach - support individual choreographers and influence systemic change in the field of dance. THE UBW CCI IS NOT A PHYSICAL SPACE BUT IS ACTIVATED THROUGH STRATEGIC ALLIANCES WITH INDIVIDUALS AND INSTITUTIONS ACROSS THE U.S.
UBW’s use of the term “Center” is a philosophical construct that disrupts 20th century notions of how groups organize themselves for the purpose of a common goal. Our use of Center is placing UBW at the center point as the initiator, gatherer and root system of a rigorous way to support female choreographers of color and push the field by privileging the building of nationwide partnerships and relationships over brick and mortar space. The UBW CCI uses targeted methods designed to provide the most needed support to choreographers. In Phase One (2013-2016) CCI pilot programming provided direct support for choreographers at three distinct stages of their careers and engaged institutional partners to lay the foundation for future support for these artists and the vision of the CCI. Programming included a series of convenings, the development of Generative Dancer Workshops for emerging choreographers, the design of a Fellowship program for mid-career choreographers and an administrative support program for established choreographers. Phase Two (2017-present) CCI programming is focused on the UBW Choreographic Fellowship Program, Generative Dancer Workshops and activities designed to support, align and connect these programs with artists and institutions across the country for maximum impact. The UBW Choreographic Fellowship Program, a single component of the UBW CCI, is structured over two years and includes a 9-month planning process with Fellowship Candidates, followed by a full year of Fellowship activity. The Fellowship program supports the development of work dealing with complex narratives addressing race, history, cultural identity, ethnicity and pressing social issues. The goals for the Fellowship program are to strengthen the artistic capacity of UBW Fellows, to raise the national visibility of their work and skill sets and to expand their networks and prospective networks of support. The Fellowship Program structure has been designed to ensure the work, and the works’ multiplicity of components and vision, are more fully realized than would be possible without additional edification, reinforcement or support. The program includes direct financial support, one or more residencies, mentorship, writing and reflection, and a commitment to placing one’s choreographic process as the highest priority examining questions of craft, clarity of vision and execution of ideas in a rigorous and granular way through a dramaturgical process. Read the Fellows’ and Fellowship Candidates’ reflections on their work HERE. Urban Bush Women share their process of art making involving iterative cycles of rigorous embodied research informed by culture, politics and history. Engage with UBW-led physical practices, explore how they develop solo practice as a rigorous discipline of generating material, and discover the relationship between dramaturgy and research. Through improvisational practice, embodied research, and the valuing one’s artistic lineage and “mother tongue”, UBW creates a shared space of learning together. This allows artists who are often in isolation to be part of a learning community that challenges, provokes and innovates. "This past week working with Jawole Zollar and Urban Bush Women has been a truly incredible experience. After spending the past year researching Urban Bush Women and related artists for my thesis, this intensive has encouraged me to put academic theories of resistance into practice. This past week I have gained a deeper and embodied articulation of radical Black movement and creation. I am deeply thankful to UBW for teaching me about Black modern dance history and for inspiring me to push my limits as an artist. Thank you Urban Bush Women!" Alice Sheppard is a dancer, choreographer, speaker and member of the National Advisory Board for Urban Bush Women. Her pioneering practice exists at the intersections of race, gender and disability. Read more about her work in “A New Invitation to Dance” published in the New York Times.